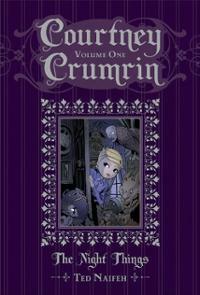 My good friend @TedNaifeh has finished a ten your story with the final issue of his Courtney Crumrin series. Having only spent five years writing and publishing the Society of Steam trilogy, I totally get where he’s coming from. If you haven’t read them up until now, or you just realized that you want to read them again, Oni is putting out gorgeous hardbound editions that I highly recommend.